Entirely equipped, spacious, comfortable and able to accommodate up to 24 guests, the Haumana is a charming yacht on which sailing becomes a real pleasure. Thus, why wouldn’t you enjoy an exceptional setting in great company by privatizing the whole ship? Birthdays, weddings, vow renewals, every occasion is an opportunity to gather with your friends and families and celebrate life. 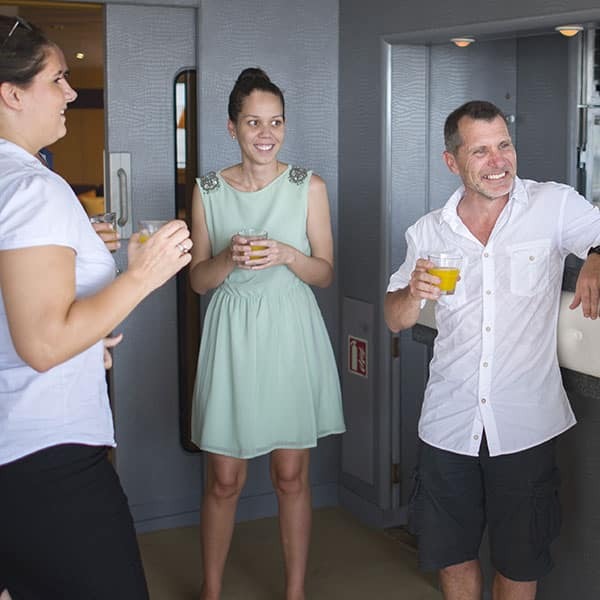 Why not surprising your guests by organizing an event at sea? It is an original alternative. Aboard, you will find all the required equiments: open spaces, terraces, an indoor living room, a bar, a kitchen and a restaurant. Our experienced staff will assist you during the whole process, helping you to choose your itinerary ahead, determine the calls, the type of excursions, the animations on site and the overall theme. They will support you and share their knowledge regarding logistics, they will see to your security and comfort. 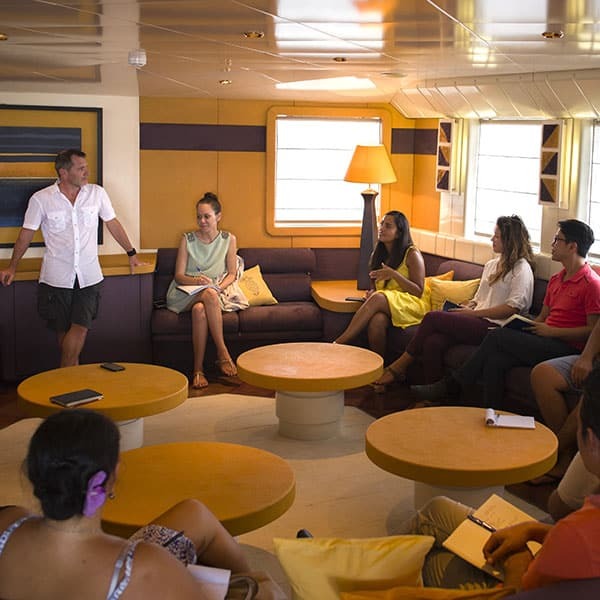 Beside honeymoons, vacations with friends and nautical events, the Haumana happens to be the ideal setting for workshops and seminars. 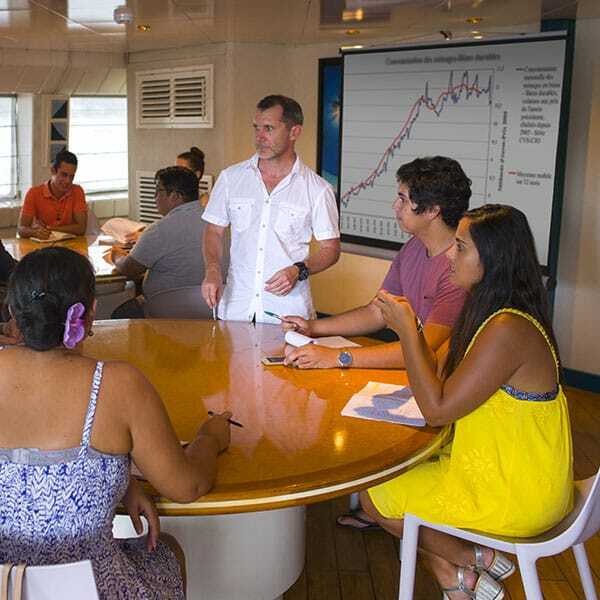 In case your company is looking for an atypical place to gather its clients or associates, the ship is the perfect place for those willing to conjugate work and leisure time. Both living room and restaurant offer great spaces to welcome about twenty people in a convivial place. Tables, armchairs and couches make it possible for coworkers to work in a comfortable setting while the flat TV screen enables you to broadcast your readings.